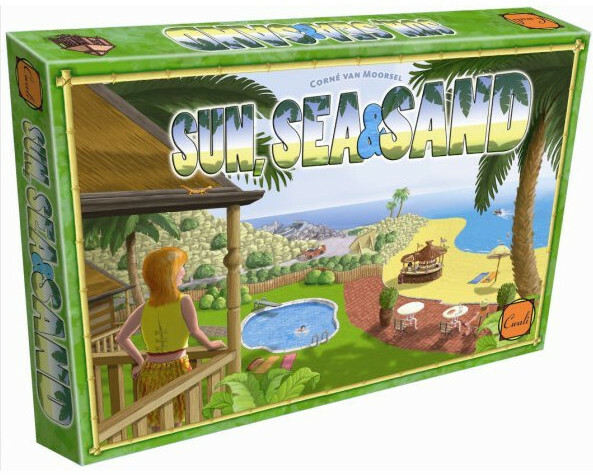 In *SUN, SEA & SAND* each player starts a resort on a tourist island. At the start you only have a plot of land. From there, you can build chalets to lodge tourists, attractions to persuade them to stay longer, or signs to help tourists find your resort. You can pick up new tourists at the harbour, or work to book potential tourists in advance. Backpackers you can’t pick up or book, but with signage you improve your chances that they find your place. You only have 5 family members to do all the work and each activity costs TIME for one family member, so manage your money and time wisely! It’s all in your hands (no luck involved).